Why You Need This: Just wait until you take the side covers off of your Honda CL / CB450 / CB500T engine for service and you will experience how tough it is to remove the crusty Phillips screws that hold everything together. You may not be the first person to attempt this on your bike as we see screw heads chewed up on old Honda CL / CB450 and CB500T motorcycles all the time. 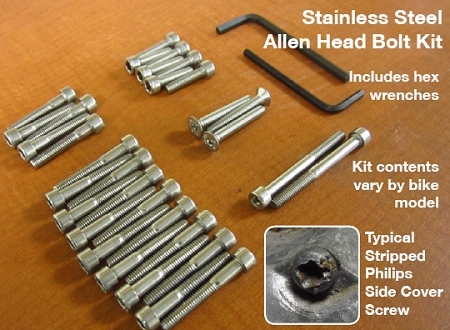 An impact driver will make quick work of getting them out then replace them with our high quality, stainless steel Allen bolt kit. It will make servicing your bike much easier and the bolts will last for years to come. Kit also includes the necessary Allen wrenches too. Button up the whole thing with some fresh gaskets you will be ready to roll. Installation Tip: Use an impact driver to remove the old screws to ensure none of them break or strip. 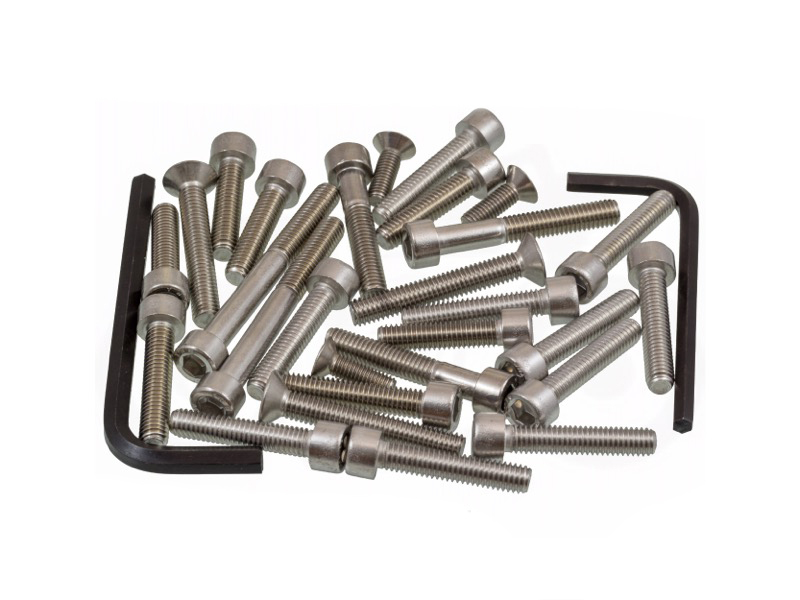 Use a small amount of an anti-seize compound on the threads of the new bolts and screw them on without over-tightening. Exactly what I needed to get rid of those old and stripped phillips head screws. A nice clean look also. Much cheaper than purchasing at the hardware store. These bolts look great and are high quality. They are so much better than the OEM from Honda. I'd love to upgrade the valve covers on my K5 CL450 too. parts fit & look good will do business again! Very nice kit. Looks great when installed, makes future removal easy. I did find a small error in the supplied diagram, but you'll be able to figure it out. Everything worked well except the top three bolts on the right crankcase cover needed to be trimmed by an 1/8”.